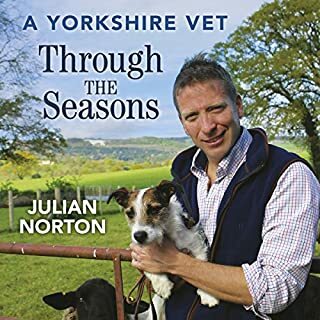 In A Yorkshire Vet Through the Seasons, Julian Norton, the star of Channel 5’s A Yorkshire Vet, recounts more inspirational tales from his life, the animals he has treated and the people he has met, as well as taking us through the seasons, showing the challenges that occur at the most unlikely times. Whether he's tending to a domestic pet at his practice in Thirsk or called out to an injured swan in the middle of a cold Yorkshire night, the animals always come first. 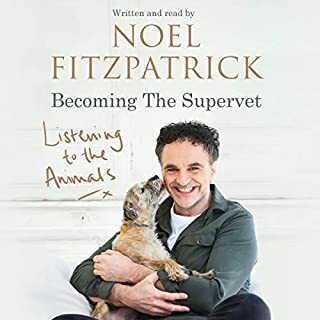 In this inspiring, uplifting and heartwarming memoir, world-renowned veterinary surgeon Professor Noel Fitzpatrick explores his journey to becoming The Supervet. Growing up on the family farm in Ballyfin, Ireland, Noel's childhood was spent tending to the cattle and sheep, the hay and silage, the tractors and land, his beloved sheepdog, Pirate, providing solace from the bullies that plagued him at school. It was this bond with Pirate, and a fateful night spent desperately trying to save a newborn lamb, that inspired Noel to enter the world of veterinary science. From best-selling author Amanda Owen come more tales of life at Ravenseat, the remote Yorkshire hill farm she shares with husband Clive, eight children and 1,000 sheep. 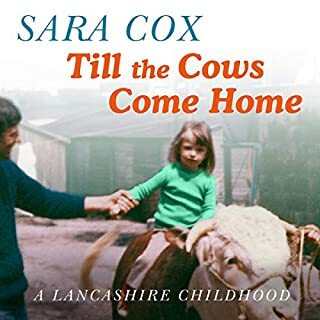 In A Year in the Life of the Yorkshire Shepherdess she describes the age-old cycles of a farming year and the constant challenges the family faces, from being cut off in winter to tending their flock on some of Yorkshire's highest, bleakest moors - land so inaccessible that in places it can be reached only on foot. 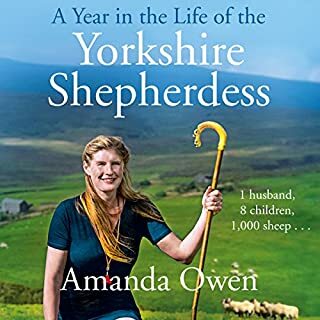 Amanda Owen has been seen by millions on ITV's The Dales, living a life that has almost gone in today's modern world, a life ruled by the seasons and her animals. She is a farmer's wife and shepherdess, living alongside her husband, Clive, and seven children at Ravenseat, a 2,000 acre sheep hill farm at the head of Swaledale in North Yorkshire. It's a challenging life but one she loves. 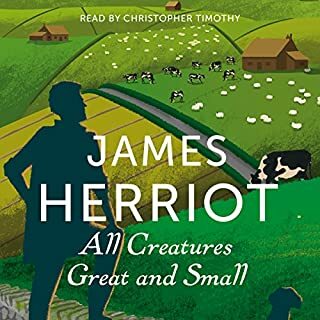 The fifth volume of memoirs from the author who inspired the BBC series All Creatures Great and Small. 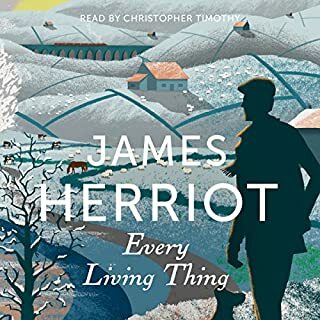 During his decades spent as a country vet in Yorkshire, James Herriot has seen huge advances in medical science, technological leaps, and a world irrevocably changed by war. Yet some things have always stayed the same - gruff farmers, hypochondriac pet owners, and animals that never do quite what you expect them to. People say 'like father, like son', and the story of my life has mirrored my father's to a quite uncanny degree. Right from when I was a little boy, he was my rock, my mentor, my hero. It is no exaggeration to say that he taught me virtually everything I know about both country life and television. Without him I certainly would not be doing what I am today. 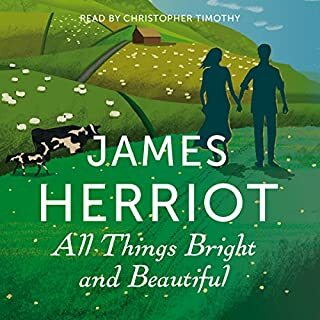 Now settled into the sleepy Yorkshire village of Darrowby and married to Helen the farmer's daughter, James Herriot thinks he's finally got himself sorted. But life as a vet in the 1930s was never going to be easy. 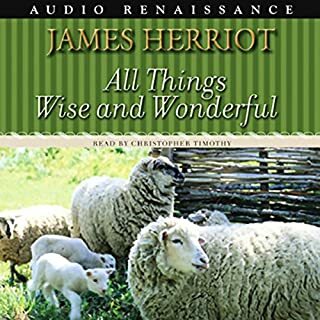 Quite aside from his unpredictable colleagues, brothers Siegfried and Tristan Farnon, he must contend with new-fangled medical techniques, delivering calves after far too much homemade wine, and a grudge-holding dog called Magnus who never forgets. 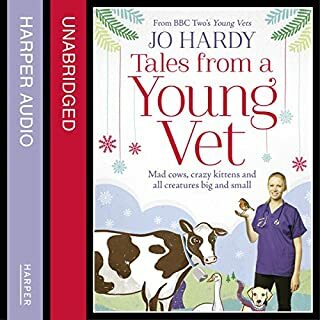 The funny, touching and entertaining story of how Jo Hardy, the star of BBC2's Young Vets, gets to grips with animals big and small, friendly and not at all happy, on the road to becoming a fully qualified vet. "Stand well clear. Keep your eyes on them. Oh, and make sure you have insurance." Not the most comforting words of wisdom but probably the most useful for a trainee vet, Jo would say. 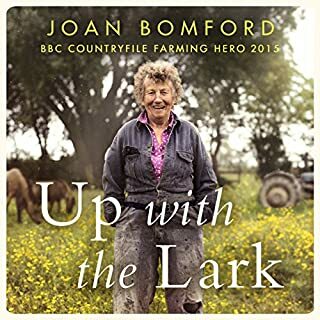 This is the true story of a Londoner who gives up his job as an estate agent in the city, moves to the wilds of Exmoor, starts a smallholding and becomes self-sufficient, with a few bumps along the way. 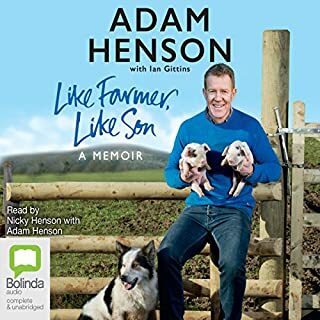 Simon's journey from urbanite to self-sufficient smallholder is brimming with incidents - some funny and some tragic - leading him to question Mother Nature, himself, the food he eats and his role in it all. Following a drunken misunderstanding, Simon Dawson gave up his job in the city, moved to the wilds of Exmoor and became an accidental self-sufficient smallholder with an array of animals. But that was years ago now. 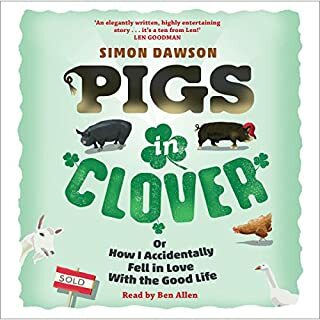 Following up on his first book, Pigs in Clover, this is the story of what happens when he suddenly realises that his life is changing all over again. He's not quite the spring chicken that he used to be: he is, horror of horrors, getting older. Animals bond people and transcend class, financial and cultural barriers. Pets matter to people more than anything, but what happens to those people who can't afford pet insurance or vet's bills? 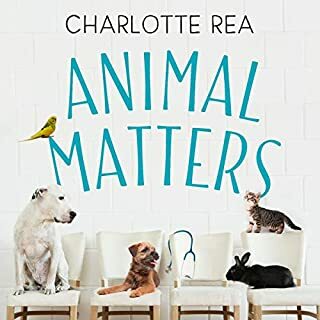 Animal Matters is a diary of real-life cases written during a year of Charlotte's career working as a veterinary surgeon in a 24-hour inner-city London animal charity hospital. 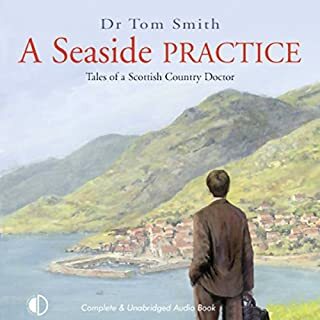 The audiobook provides listeners with a revealing, honest, emotional experience, with deeply sad moments followed by amusing and unimaginable ones. Kate Clanchy has taught in state schools for nearly 30 years. Some Kids I Taught and What They Taught Me is a book about a life’s work spent teaching in a national institution. 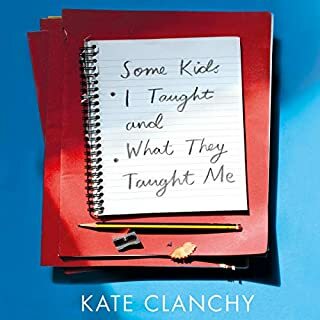 By telling the stories of some of the kids she’s taught, some of the teachers she’s worked with and some of the lessons she’s learned, Clanchy offers a revelatory picture of school life and a fascinating look at the role education plays in our society today. 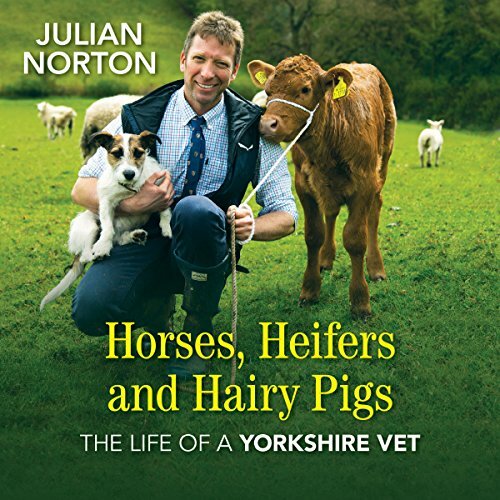 From his childhood love of animals, through his training and first steps in the profession and the pressures and challenges faced by vets, dealing with unexpected exotic pets - and handling excitable humans too - Julian Norton has seen all sides of the veterinary world and writes about it all with humour and affection. 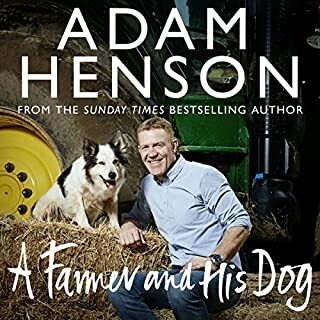 Just as happy calving a cow, treating a dehydrated chameleon or tending to the overgrown teeth of a rabbit, his passion for his work shines through in every chapter, as does his love for Yorkshire. With a foreword by James Herriott's son Jim Wight, Julian's story brings to life the world of the working vet and the highs and lows he and his colleagues face on a daily basis. 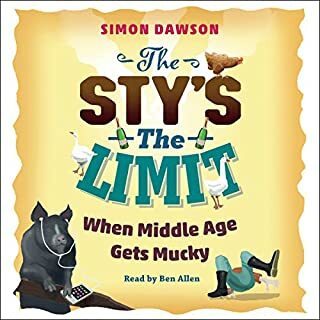 I really enjoyed this audio book, funny, entertaining and enthralling. Loved the stories especially the kitten one. Knowing the colour of the object swelled straight away was hilarious.